Ghost Theory first spooked Kickstarter back in January, but for whatever reason the ghostly campaign failed. Now, after going back to the scary drawing board, developer Dreadlocks are back on Kickstarter with their haunting tale. Okay, I’ll stop that now. I don’t want to give you the chills. If you’re interested, you can go read our previous article on Ghost Theory for more information. I was impressed with the idea of the game, where you aren’t constantly running from monsters, but instead you’re playing an aggressive game of hide and seek where you’re the seeker as much as you are the hider. The game itself hasn’t changed, and the Kickstarter page hasn’t changed much either. It’s been re-written and there are a few more screenshots. I speculated that the main reason the first campaign failed was because Dreadlocks didn’t show enough gameplay (indeed any at all). That’s been remedied here, somewhat, with the pitch video. The original was just the developer walking around scary locations and talking about the game. This time it’s a trailer featuring gameplay. We get to see how the various ghost-busting tools work like the EV light, as well as our main character’s own spectral powers. It’s a brief look at only two minutes long (one in the Youtube version), but it still marks a huge improvement over the previous Kickstarter. The biggest change is the funding goal, down from £100,000 of the first Kickstarter to £50,000 this time. That’s around $142,000 and $71,000 respectively. To cover the difference, Dreadlocks say they will use all their profits from the console version of their previous Kickstarter game, Dex. It really highlights the vicious cycle of self-funding that Kickstarter can force some developer in, but that’s a topic for another time. 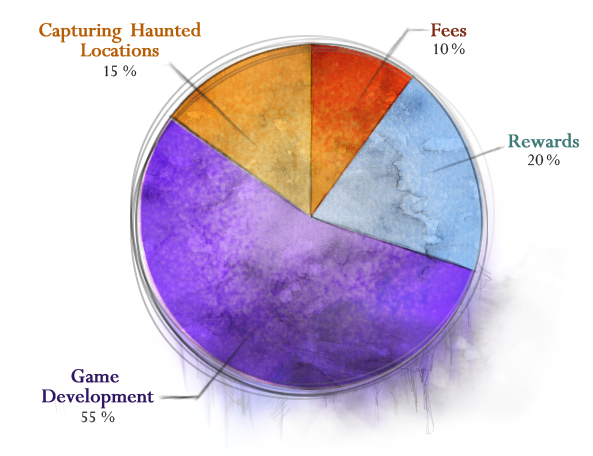 Even still, they say that “£50,000 is only about 17% of the expected cost of the game.” They go in some detail about the rest of the cost, such as Kickstarter fees and rewards, and capturing footage of “real” haunted locations. Kickstarter remains a risky platform for backers and developers alike, especially when those developers are claiming to put 83% of their own profit into a single game. We’ll be sure to keep an eye on Ghost Theory and let you know how much – or how little – that percentage chips away. Still, I’m excited about Ghost Theory, it’s going to be one hell of a time. 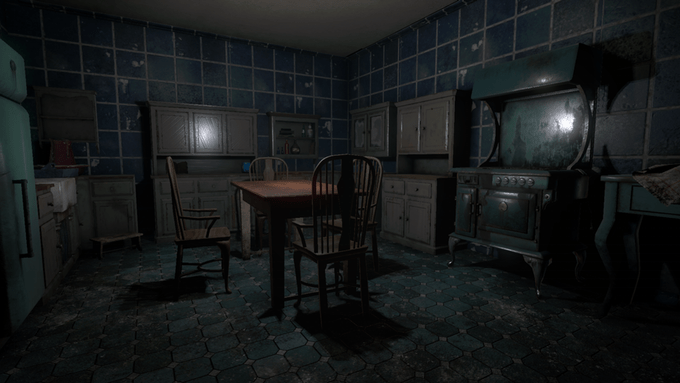 Track the progress of the Ghost Theory Kickstarter in our Campaign Calendar.